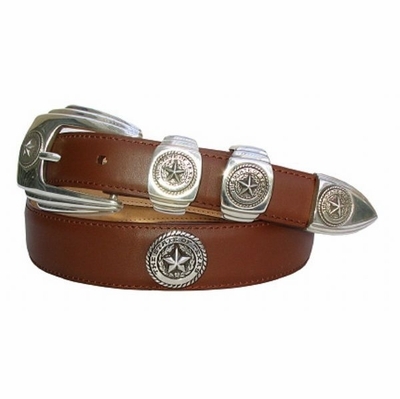 Hand Polished Sterling silver plated four piece buckle set with five conchos made from a hand engraved master. Genuine Italian calfskin hand dyed lined with soft genuine leather. 1 1/8 inches wide tapering to 1 inch.